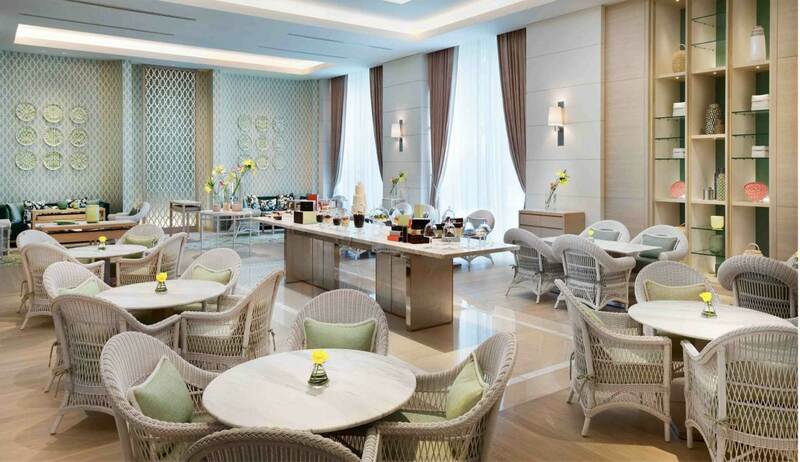 Peacock offers a sophisticated lounge where guests can relax and enjoy light bites, tea and coffee throughout the day. 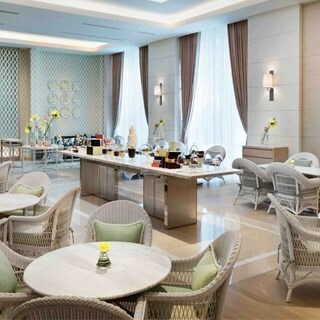 Building on Fairmont’s tradition of celebrating Afternoon Tea, the menu offerings and service are unrivalled in Jakarta. Indulge in a selection of delicate finger sandwiches and savory pastries, exquisite cakes and chocolates, as well as fine selection of teas. Quiet day in Peacock Lounge, we had tea set and it was too much food for 2 people to finish. Food & tea was good (especially liked the lumpia & bitterballen), and the dessert selection was great too. The only slight thing that bummed me out is the tea is non-refill-able, which a bit uncommon and a bit unbalanced due to the amount of food. Booked this @accorplus and its written 50% off for 2 person, when we arrived there, they told us that they don’t give the benefit of accor plus since it’s blackout date, and they never told us before.. food was so so.. the atmosphere was comfy though..
We ordered Afternoon tea. Pastry, sandwich, scones and were good taste. We could choose tea from a TWG tea list. But I think their flavor were little weak. We enjoyed chatting in very nice atmosphere. Untuk dekorasi sangat cantik, namun pada saat mau foto, fotographer kami ditegur oleh salah satu waitress agar tidak menggunakan blitz dengan alasan takut mengganggu tamu yg lain.. Padahal di hotel lain tidak masalah.. Karena hasilnya juga akan kami posting di sosmed kami dan akan kami mention juga di sosmed kami. Untuk makanan rasanya biasa saja namun untuk teh sakura-sakura harum sekali aromanya... Saya sukaa!! !